This is the audio only version of Focus on Fantasy Romance - Focus on Fantasy Romance is podcast by authors for fans focusing on fantasy romance, paranormal romance, urban fantasy romance, and science fiction romance. Listen to interviews, book review chats, author/fan mixers, and industry news and current events. Elle, AR, Paulina, and Ishabelle talk about inspiration and how its factors into different stages of creativity. Join Elle, AR, Paulina, and Electra as we chat with Stacy Reddy, fantasy romance author. 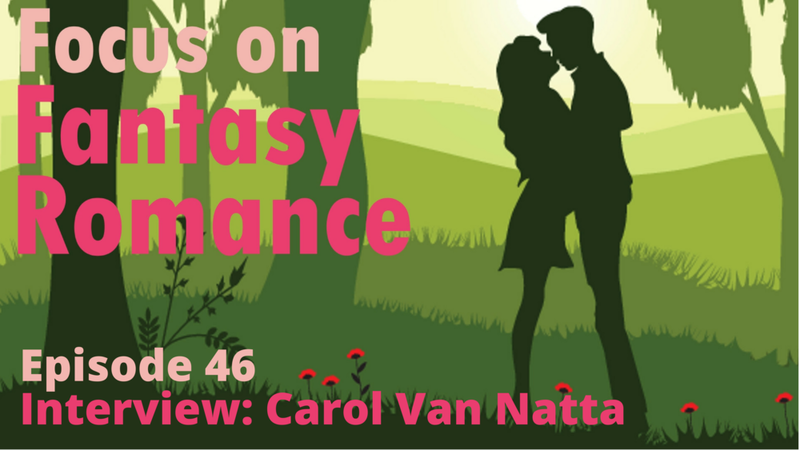 Join Elle, AR, Paulina, and Electra as we interview Carol Van Natta, author of science fiction romance and paranormal romance. Join Elle, AR, Ishabelle, Paulina and Electra as they interview Nicola Cameron. Join Elle, AR, and Paulina as they discuss Knight of Stone: Mason by Lisa Carlisle. Elle, AR, Electra, and Paulina talk best seller lists. Join Elle, AR, Paulina, and Ishabelle as we interview Electra Gajdos, sci-fi romance author. Join Elle, AR, and Paulina as we interview Camryn Rhys and Krystal Shannon, authors in the Moonbound world. Join Elle, AR, & Paulina as they discuss the movie I am Dragon. Princess Miroslava is kidnapped by a dragon and carried away into his castle on the remote island. Now the only things she has are a stone cage and a mysterious young man named Arman … but who is he and what is he doing on that island? Join Elle & AR as they discuss their writing habits. Elle, AR, Ishabelle, and Paulina interview award winning author Renea Mason. Join Elle, AR, Ishabelle, and Paulina as we interview narrator Hollie Jackson. Join Elle, AR, and Paulina as they discuss Kate Corcino’s Spark Rising, book 1 in The Progenitor Saga. BLURB: All that’s required to ignite a revolution is a single spark rising. Join Elle, AR, Ishabelle, and Paulina as we discuss book covers. Elle, AR, and Paulina discuss reader expectations. Join Elle, AR, Ishabelle, and Paulina as we interview authors from the Crazy Little Spring Called Love anthology. Blurb: This delightful fantasy romance anthology features eight magical stories inspired by the awakenings and renewal of springtime. If you love gods and goddesses, fairies, djinn, druids, mermaids, sirens, and magic of all varieties, this is the anthology for you! Join Elle, AR, Ishabelle, and Paulina as we interview USA Today Best Selling Author Nicole Zoltack. Elle, AR, Ishabelle, and Paulina talk about a romance character trope, the alpha male and the alphahole.